Film Plot: A hack screenwriter writes a screenplay for a former silent-film star who has faded into Hollywood obscurity. Grade: C6	Fine. Rolled, single-sided. Minimal handling wear, some small edge dings with missing chips, some wear along top edge. People collect vintage lithos and posters for a variety of reasons — maybe the design is particularly striking, maybe because it is a rare poster, or maybe it’s for an important film. 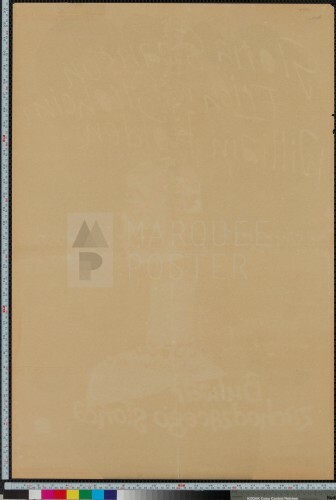 Poster collecting is great as it’s almost always possible to find a poster that checks one of those boxes, often for a reasonable price too. It’s more rare, but not impossible to find a poster that checks two boxes. However, the posters that manage to tick all the boxes — those are the really special pieces that are truely investment worthy. 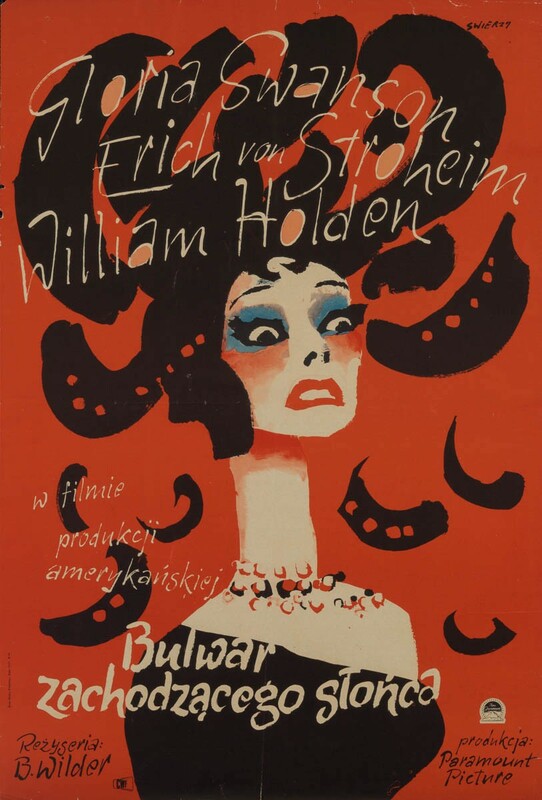 This poster Polish A1 for Sunset Boulevard is definitely one of those posters! I had this poster on display at a recent exhibition of Eastern European posters — nearly all of them with striking designs mind you — and it the one, the poster that people naturally gravitated towards. Waldemar Świerzy’s incredible portrait of Gloria Swanson playing the unhinged Norma Desmond will stop people in their tracks! 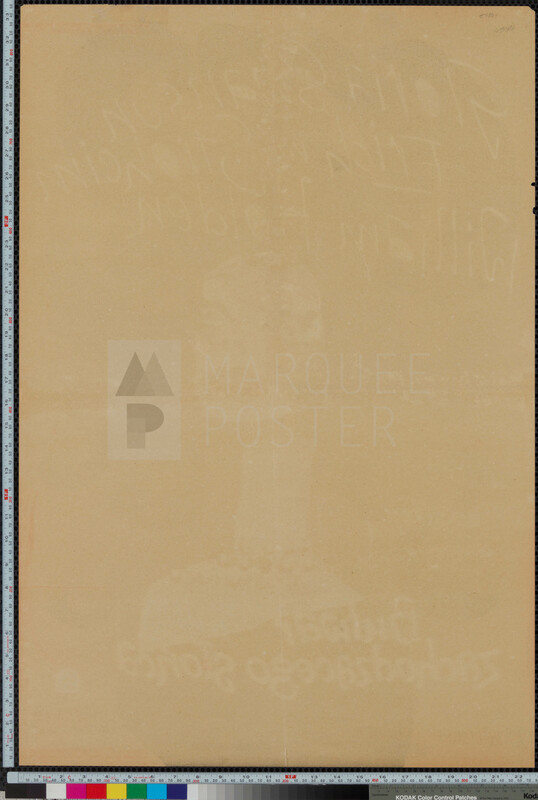 It will come as no surprise then that the value of this poster has soared in recent years. 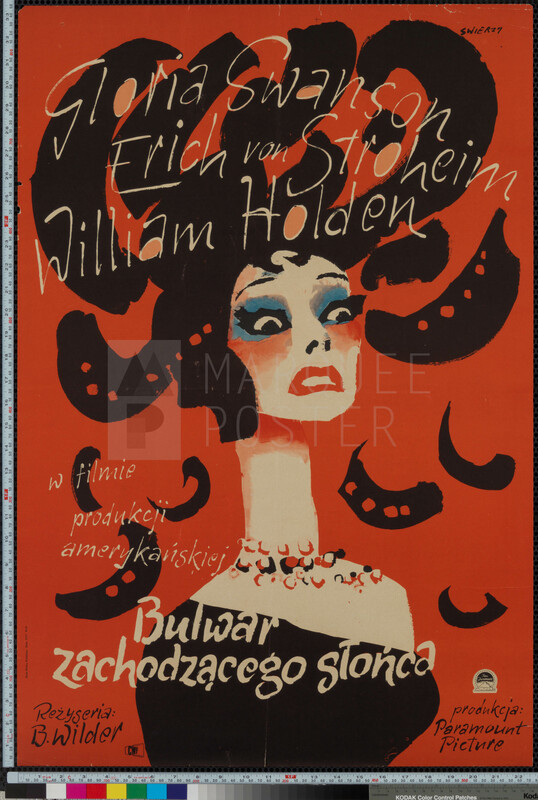 All paper for this important film noir has been on a massive upswing lately, but this Polish poster in particular has been on fire! It was always bumping elbows with the other premiere Polish designs, but lately it has become THE Polish poster to own.